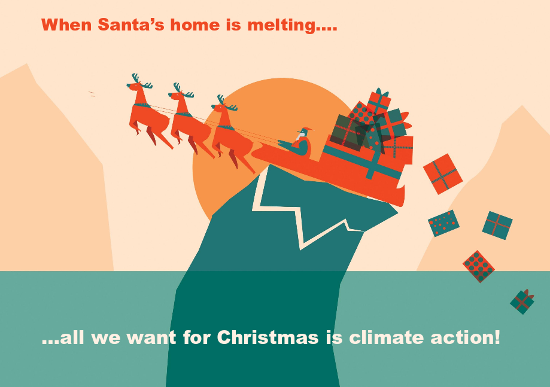 All we want for Christmas... is Climate Action! 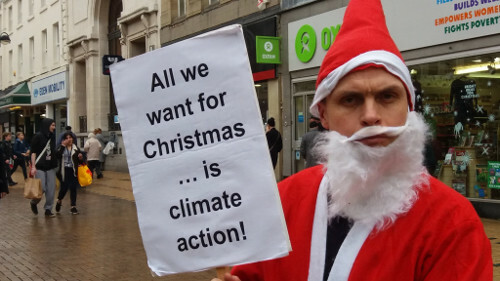 Is it any wonder Santa's not happy? 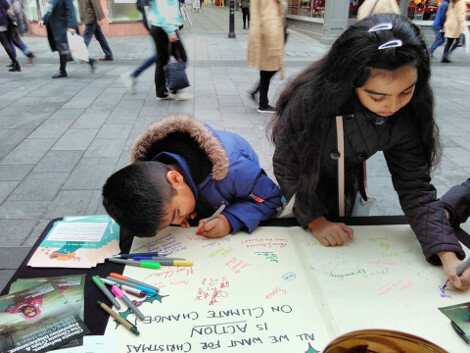 When the world's governments, including the UK, signed up to the Paris climate deal, there were promises of real action to tackle the urgent threat of climate change. 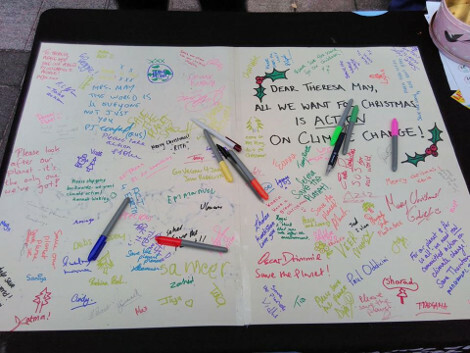 We've all had gifts that didn't live up to the hype, but when it comes to emissions cuts, Theresa May's government has not just delivered an empty box - they've done the equivalent of coming round to your house and nicking all your presents from last year. 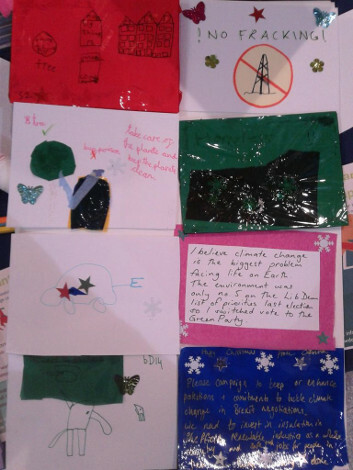 Cuts to renewable energy and insulation continue to take us way off course from our legally binding targets, and on top of that they are pushing through fracking and planning a climate-wrecking new runway at Heathrow. 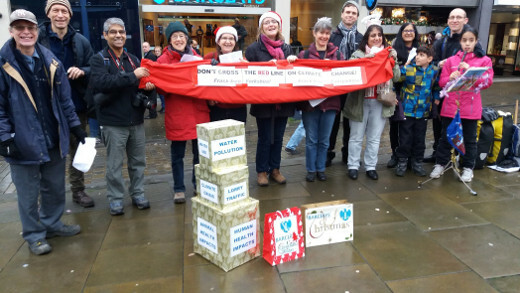 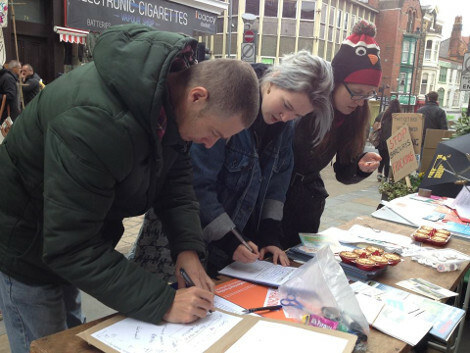 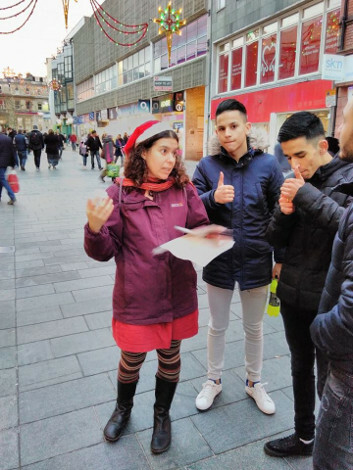 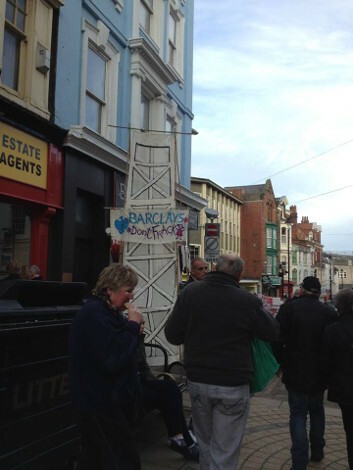 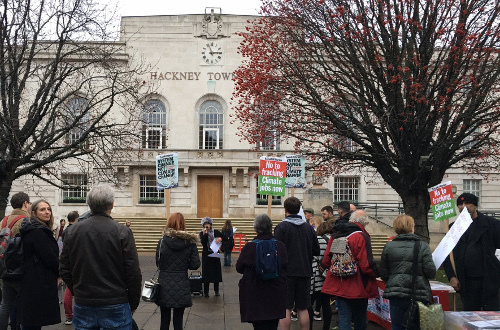 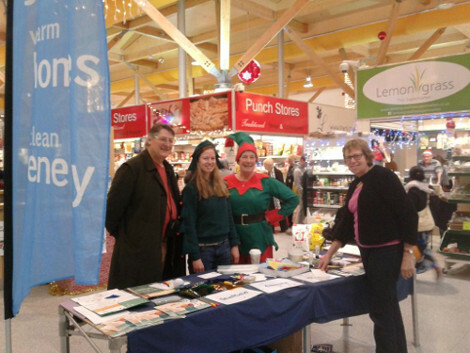 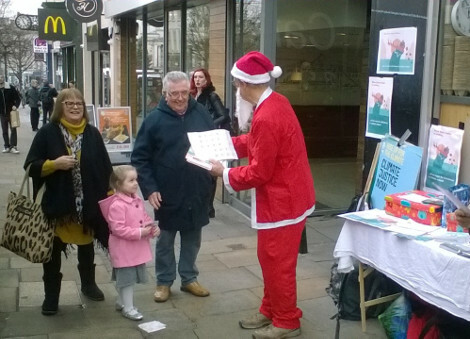 One year on from the Paris agreement on climate change, campaigners took to the streets to call for action on climate change, signing Christmas cards to local MPs and Theresa May on climate change, singing carols, and linking up with campaigns - for Barclays to stop funding fracking or for the local council to divest. 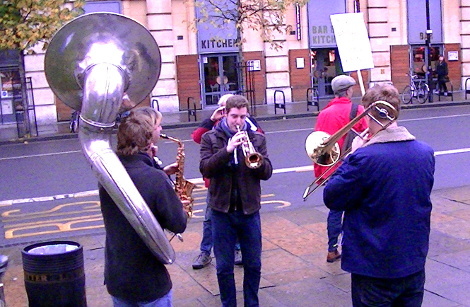 Pictures below from Nottingham, Sheffield, Hackney, Leicester, Huddersfield and Scarborough. 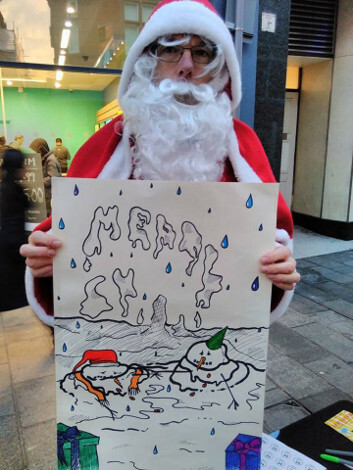 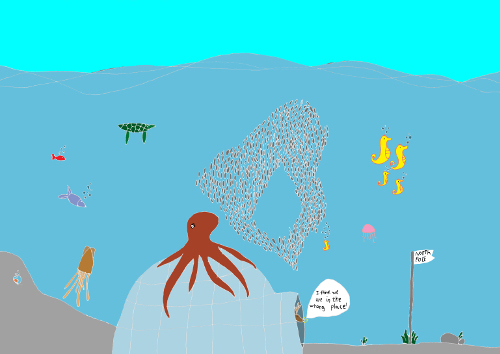 Thanks to all campaigners and artists, particularly Jess Ebsworth, designer of our climate change Christmas card (below). 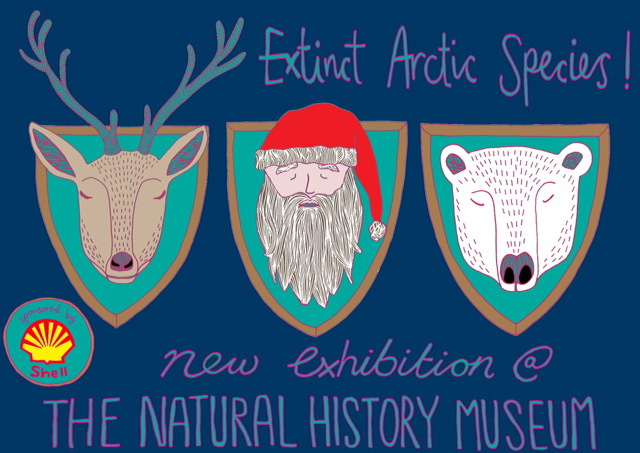 And some final artwork to share - our climate Christmas card by Jess, a drawing by Maria Luisa, aged 11, in which Rudolph is puzzled by a North Pole with no ice, and 'endangered species' by Frankie Nicholas.